In the Optical Communications space, Optical Networks are made of Optical Components. And Optical Components are where much of the market demand for innovation and cost reduction comes to bear. Optical Components have traditionally been divided into (i) Active Components, such as Lasers, Detectors, Modulators, Transceivers, etc; and (ii) Passive Components, such as Filters, Couplers, Splitters, Isolators, etc. Recently, a modification has been proposed to this categorization scheme that would introduce a new class of Optical Components known as Dynamic Components. Dynamic Components are inherently passive but have the added functionality of changing a physical parameter of the light or reconfiguring its optical path in real time. This class of components includes: the Variable Optical Attenuator (VOA), Tunable filter, 1 x N Switch, Wavelength Selective Switch (WSS), MEMS Scanning Mirror, Dynamic Dispersion Compensation, etc. 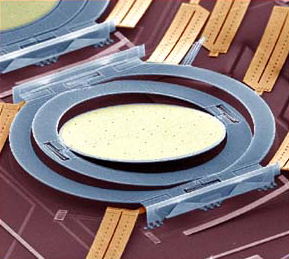 The preferred technology for enabling Dynamic Components is Optical MEMS (Micro Electro Mechanical Systems). The core concept of MEMS is to build micro-mechanical devices using Semiconductor Wafer Processing technology—which has long been used to develop Integrated Circuits. Where Integrated Circuits (ICs) take traditional electric circuits and fabricate them onto silicon wafers, MEMS takes the whole idea one step further by integrating micro-mechanical devices into the silicon itself. The integration of electrical and mechanical parts at the micro- or nano- scale enables a broad range of new functionality that is pushing the envelope on what is possible with modern technology. Engineers have found astonishing applications for MEMS devices in a wide range of practical fields—from consumer electronics, to automotive applications, to biology and medicine. When MEMS technology is used for building optical devices that control some physical parameter of light, this field is referred to as Optical MEMS, or MOEMS (Micro Opto Electro Mechanical Systems). 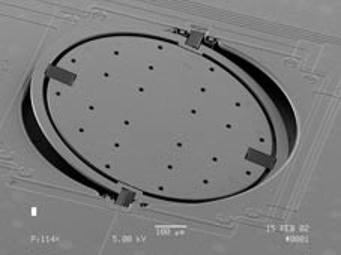 A good example of an Optical MEMS device is the Micromirror, which can be precisely controlled in its angular rotation in one or two axes. The MEMS Micromirror is one of the core technologies that AGM is pursuing for market driven product development. Micromirrors can be deployed in a number of distinct configurations, serving a wide range of commercial applications. Typically, Micromirrors are arranged in one dimensional or two dimensional arrays, depending on the application. Other examples of MOEMS devices include: diffractive MEMS, tunable filter, MEMS Scanning Mirror, etc.